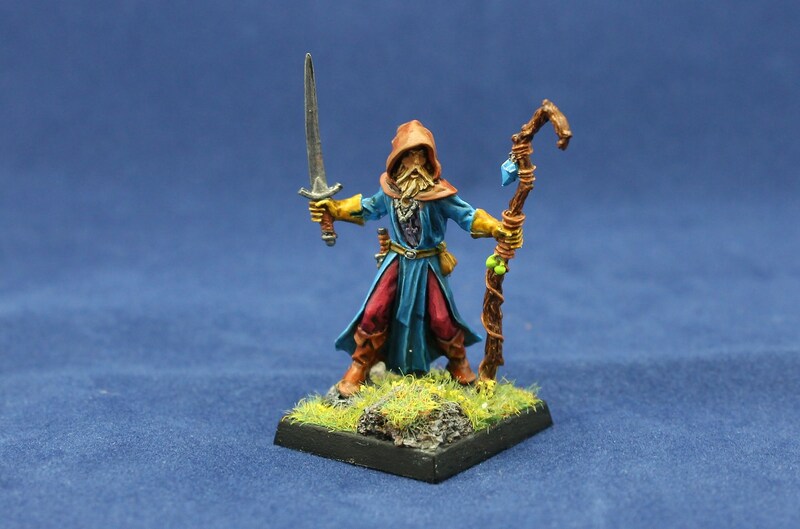 I had previously posted my dwarf King Thorgram that I had painted and sent out to Fishnjeeps of the Reaper Forum, so to follow up I wanted to take time to post what I received from both Exchanges this year and what I sent out for the Privateer Press one. I’ll start with my piece for the Secret Santa. My recipient listed one mini that he would like from Santa, Una the Falconer. 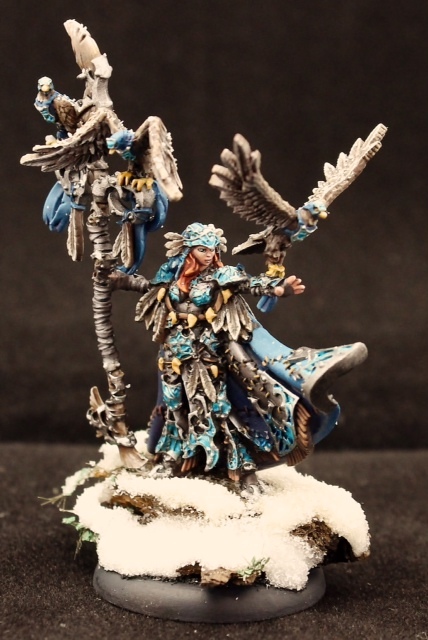 She is a beautiful Circle of Orboros sculpt which I plan to add to my army as well in the future. 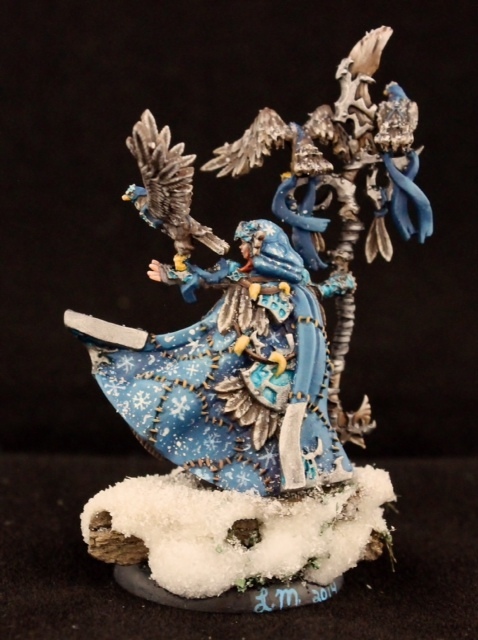 This mini was a bit challenging as she has so much detail packed on a tiny sculpt, and I wanted to paint her in a Winter theme in the spirit of the exchange. The final scheme is something I quite like for Circle even though I myself started mine with green, purple and bits of gold. 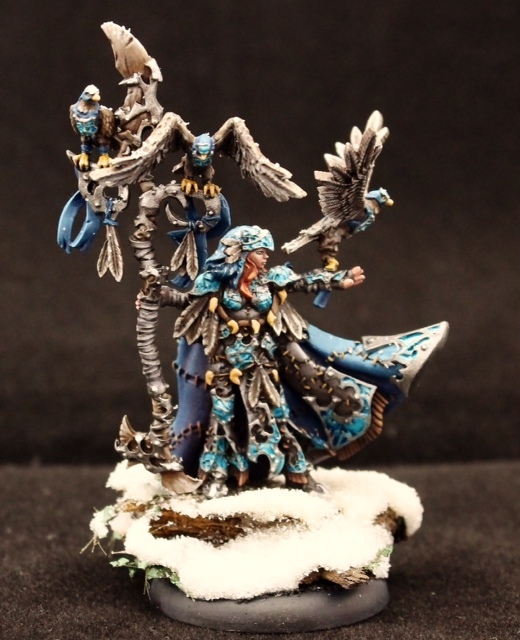 I may paint up a small point force in this alternate winter scheme some day for myself. 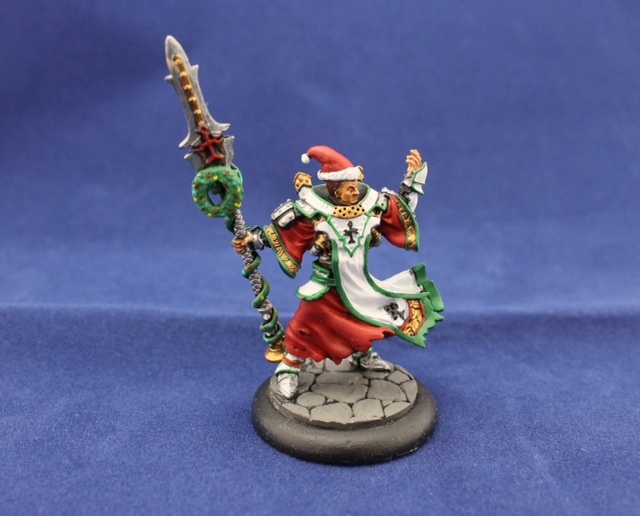 To my surprise I received Initiate Tristan Durant for my Menoth army with a bit of Christmas flair. From the Reaper Exchange Fishnjeeps also was kind enough to send two miniatures my way and some other small gifts as well. Both minis I intend to put to use on the game table soon. 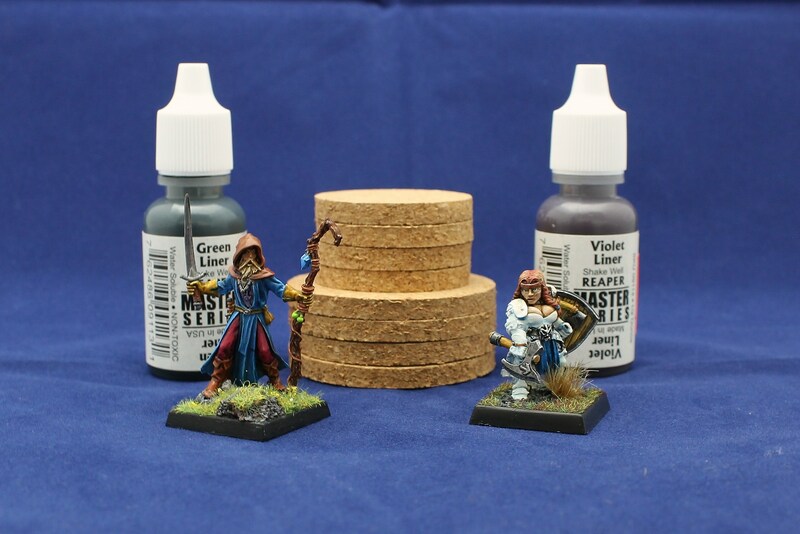 Here are some closeups of both miniatures. ~ by liviasminiatures on December 29, 2014.